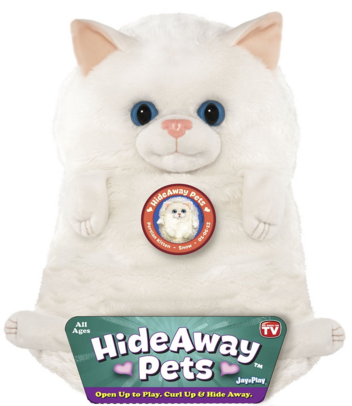 Jay At Play 15" Hideaway Pets (Persian Kitten) Just $7.63 Down From $20! You are here: Home / Great Deals / Amazon Deals / Jay At Play 15″ Hideaway Pets (Persian Kitten) Just $7.63 Down From $20! Jay At Play 15″ Hideaway Pets (Persian Kitten) Just $7.63 Down From $20! Here’s an interesting Amazon deal. Jay At Play 15″ Hideaway Pets (Persian Kitten) is just $7.63 down from $20! Get yours now while it lasts!